Prof. C.H. Cheng, Deputy Director of CINTEC was invited by J.P. Morgan to visit their company on 15 August 2016 with other representatives from CUHK. First term just started in September, 7 recruitment talks were held, included Fidelity, Huawei, Thales, Deloitte, and more. The talks attracted over 300 participants. More talks and sharing will be held in October and November for engineering students. Prof. K.F. 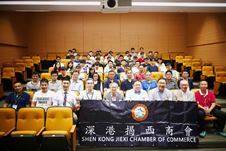 Wong gave a talk, titled ‘產學研之間的合作’ to a Programme for the Administrative Staff of Shenzhen University on 24 August 2016. Prof. K.F. Wong, representing Faculty of Engineering, attended the opening ceremony of the captioned summit as an officiating guest on 20 August 2016 in Science Park. 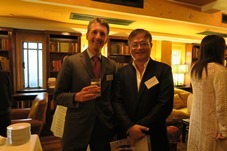 Prof. Wong also co-chaired the Lunch Keynote session with Prof. Philip Chiu, Department of Surgery. Prof. K.F. 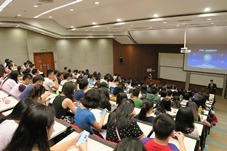 Wong was invited to attend the Opening Ceremony of Hong Kong – Guangzhou Youth IT Summer Camp and gave a welcome speech to the attendees. 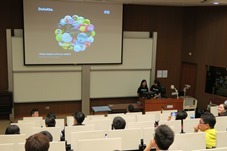 The camp aimed to introduce the latest IT technologies in China to Hong Kong students. Meeting with Mitsubishi Electric (HK) Ltd.
Mitsubishi Electric (HK) Ltd. had cooperated with Innovation and Technology Student Club to organize a summer camp in July. To thank MEHK’s support and explore future collaboration opportunities, Prof. K.F. Wong, Director of CINTEC, and Ms. Eman Lai, Project Coordinator, visited the showroom and office of MEHK in Taikoo Shing on 22 August 2016. Prof. K.F. 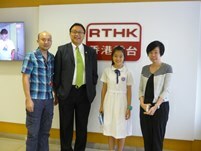 Wong, representing CUHK, was a member of Judging Panel of Hong Kong Young Industrialist Council. 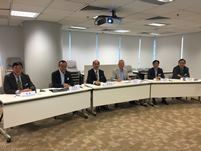 Prof. Wong attended the Judging Panel of Hong Kong Awards for Industries (HKAI) on 2 September 2016 to interview applicants and select awardees of the 7 categories, namely ‘Consumer Product Design’, ‘Machinery and Machine Tools Design’, ‘Customer Service’, ‘Innovation and Creativity’, ‘Productivity and Quality’, ‘Technological Achievement’ and ‘Upgrading and Transformation’. 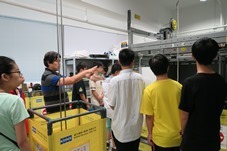 In August, ITSC arranged 6 technology visits for members, including Science Park Green Explorer, the newly established T Park, Cyberport, KONE and a company developing MRI.